Window treatments add a finishing element to your space whether it’s an office perched up in a skyscraper or a nursery just down the hall. Whatever you need a window treatment for – aesthetics, privacy, energy savings − West Michigan Carpet & Tile’s design and installation professionals ensure a satisfactory installation. Working with our window treatments team, you’ll have an extensive selection from which to choose. The type and function of the windows − including sky lights, arches, hexagonal, and bay windows − must be considered. They’ll advise you about the benefits of each treatment; which may incorporate scarves, curtain shades, sways, cascades, valances, shutters, swags, and blinds. Not to be overlooked is the treatment’s operating system, we have options that include motorized operation. By considering these elements you will be able to choose the best window treatment for your home or office that complements the flooring of carpet, area rugs, tile, hardwood, or vinyl. Once you have decided on the treatment, our installation technicians make a site visit to measure each window to ensure accuracy and finalize the treatment. Hanging a simple shade might be within the realm of do-it-yourselfer. For anything more we advise you to have your window treatments professionally installed. It’s not unusual for a single window treatment to need a couple of rods with all the accompanying brackets, screws and pull cords, etc. Today’s homes feature expansive windows that need a ladder or scaffolding to hang the window treatments safely and securely. Our installation technicianshave the skills needed to do this work, from start to finish. A professional installation is budget friendly when considering the cost of materials and construction aspects of window treatments. Our technicians have the knowledge and the tools to bring beautiful and functional window treatments to your space. We are based in Mattawan and service Kalamazoo, Portage, Paw Paw, Lawton, and Schoolcraft. 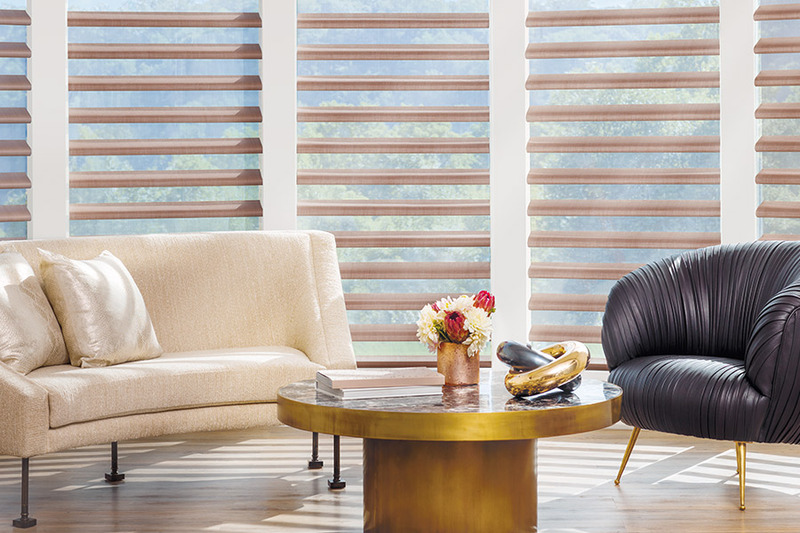 When window treatments are on your mind, come to the showroom or call setup an in-home consultation. We’ve got you covered.